Our intention with the Dark Roast is to give the coffee the pleasant aroma and flavor that the roasting process provides, while not masking the flavors created by the coffees variety, processing, altitude, soil and location. Dark Roast has been added successfully to your wishlist. Cafe Altura Dark Roast is notably lighter than other popular coffee companies in the industry. If you are looking for black beans glistening in oil then we suggest our French Roasted coffees. Grower: Productores de Cafe de Conservacion Cuarta Union S.C de C.V.
About the farm - Cafe Altura Dark Roast Coffee is sourced from the southern states of Chiapas, Mexico, where there are mountain ranges that provide higher altitudes and ideal climates for cultivating coffee. The vast majority of farms are family-owned with less than 10 acres of land. 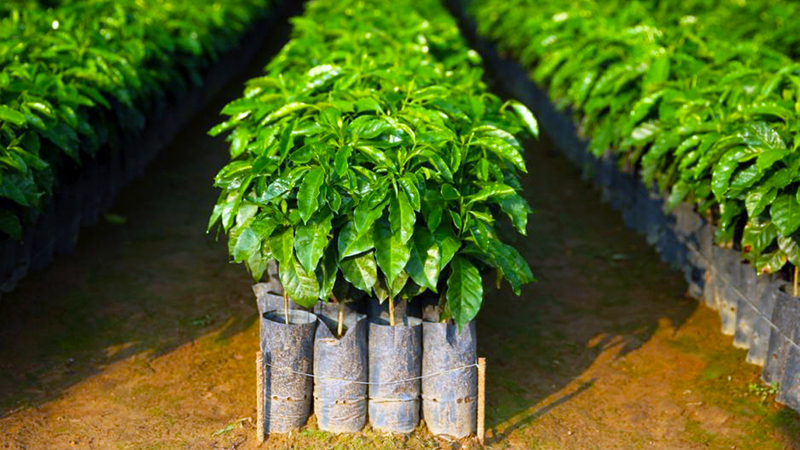 The coffee harvest typically begins in October and ends in March. We enjoy coffee maybe a little more than most. Okay, fine, we really love our coffee! Im happy to pay a little extra if it means more money for the farmer. Were always happy to serve a guest coffee because its always met with compliments. I play it off like its my amazing coffee making skills but the coffee is really just that good. Its not burnt at all and the beans were evenly roasted. This has been our favorite coffee for over 25 years. Great flavor and aroma; not too much caffeine. Tastes best when using a good burr grinder. Have converted a number of our friends. Highly recommended. Got a rec from friend. Not disappointed it has very bold flavor and is smooth. Gonna order more for sure. I keep a can around for emergencies, but the whole bean is where its at. I go for the bulk size and the price is well worth the quality. I have been drinking this coffee for quite some time now, and havnt come across a better coffee for the price. Always good flavor and I order it once a month. Its convenient that's for sure. If its too early to blast the grinder Ill go for this. But the dark roast whole bean they sell is better and Ill drink it on the weekends. if I have no time I can go for this and feel happy. Its not as dark as I'm used to. I like the French roast can better. If you like really dark coffee, don't buy this, buy the French roast. This is more like a coffee house dark and its still a brown color and not black. My husband likes it a lot but I like it darker.